This pattern will take the improvising out of the equation! 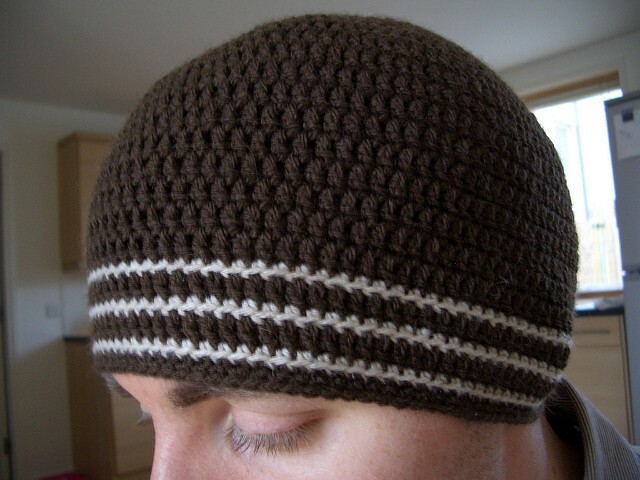 Sometimes, finding a beanie pattern for guys with big or small heads is a real problem. 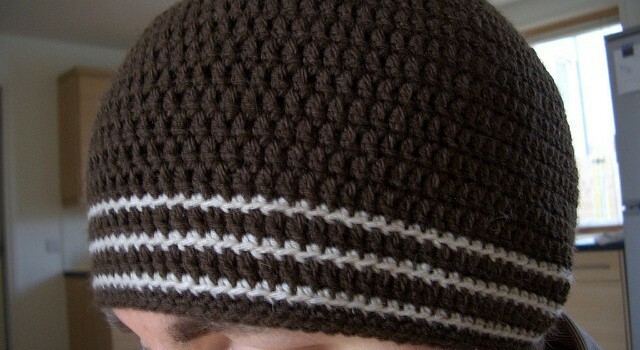 The solution is really simple: this beanie pattern! The Skater Beanie by Azzy Makes works up quickly, is easy to customize for any size and is the perfect beanie for men and kids. It can be done in one afternoon, it’s very simple to make, it’s suitable for beginners and is a great way to learn increases in the round. A total winner! Any yarn is ok – however I used DK for the examples and I think the hat looks best in thinner yarns. You need 2 colours of yarn – up to 200m max of the main colour, and up to 50m max of the second colour for stripes. Less yarn in terms of length will be needed if you’re making one using a thicker yarn. Use whatever hook the yarn recommends – normally a 4.0mm for DK. The hat starts off with a magic adjustable ring however there are other techniques you can use if you prefer. Thanks to Azzy Makes for the article inspiration and featured image. [Photo Tutorial] Beautiful Crochet Owl Rug (Bathroom Set)- With A Twist! Looks like the stitch I used to make my grandmother’s. Rosalinda Y. Jose Moraga let’s start with this one ? Not me. I don’t know how.